CES 2012 - Next week BlackBerry will be in Las Vegas at CES 2012. We're not expecting any new devices or anything to be announced, but I'm sure we'll get a much better look at where PlayBook OS 2.0 is at and hopefully see some new apps, services and things like that get announced. When it comes to PlayBook OS 2.0 branding, remember that at DevCon we were told that this was the branding "for now"... when launched, the PlayBook's OS was called the BlackBerry Tablet OS. Now it is the BlackBerry PlayBook OS. BlackBerry PlayBook OS 2.0 has been announced and is to be available in February, but were pretty sure we'll see yet another name change soon here with PlayBook OS 2.0 likely getting re-branded also into BlackBerry 10. RIM made it clear at DevCon that BBX (now BlackBerry 10) is the ONE platform moving ahead, so it doesn't really make sense for RIM to have separate OS branding from their tablets and phones. Depending where marketing materials are at, we might see it as PlayBook OS 2.0 next week, or possiby already see PlayBook OS 2.0 start getting referred to more and more as BlackBerry 10. DevCon Europe - A few weeks ago we already posted what RIM told us about BlackBerry 10 at DevCon Europe... specifically that By attending, you'll be among the first to witness the birth of the next generation in application development, BlackBerry 10. DevCon Europe is early February. Mobile World Congress is late February. So it's pretty clear that if not at CES, we'll start seeing the BlackBerry 10 name get used and shown off a lot more at DevCon Europe, prior to Mobile World Congress. Remember - BlackBerry 10 isn't a "brand new OS" but is the progressing evolution of the new QNX-based platform. Names are just names, but this is what it is. Even if handsets won't be available until late 2012, I'm hoping RIM shows us some "developer phones" at this event. We know devices like London exist - heck, they were on hand at DevCon America but just were not shown off publicly. Letting developers start to see some of the new screen resolutions early would be a good thing. Mobile World Congress - Late February. As Pocket-Lint said, I'm sure we'll see more of BlackBerry 10 at MWC. But versus being unveiled as a new OS which their article sort of points to, it's more likely to be something we're all pretty familiar with by then. 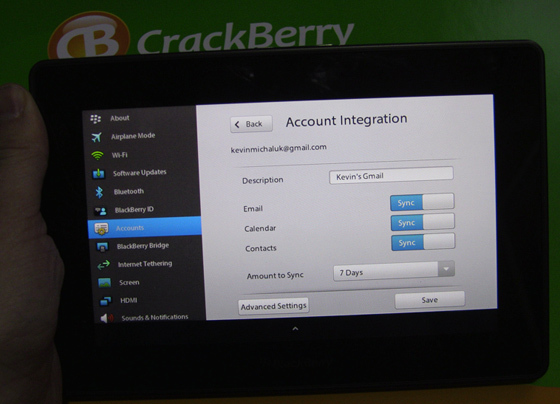 Remember, RIM told us BlackBerry PlayBook OS 2.0 should be available in February. So if we see something launch at MWC, it should be better be the availability of PlayBook OS 2.0 for PlayBook owners... but more likely under the BlackBerry 10 name.